In our Turlock dental office, our priority is combining technology with the high-touch service you deserve. We are not a flashy, sales-driven bunch. We are real people who have the same concerns you do about how to manage oral health for a lifetime. When you visit us for care, you will receive our best. We will follow up with you personally to ensure you have obtained the level of service you expect. The primary goal shared by Dr. Davoud and our staff is to create a foundation of trust and respect for lasting relationships with our patients. To do this, we provide you with the information you need right up front. We show you what is going on in your mouth using high-definition imaging. We discuss with you how you can prevent costly dental problems in the first place and we support you as you develop healthy dietary habits. Part of this support is a collection of CAESY videos that you may view to learn about oral health. Our office is different in numerous ways. In our integrative approach to conservative dentistry, we have chosen to equip our office with specific technologies. In order to exceed your expectations of care, we must first accurately identify your needs. One of the ways we do this is with high-definition digital x-ray imaging. The quality images that we obtain using the latest digital equipment are transferred directly to our computer screen, where we can view them with you. Not only can we see the depths of individual teeth, gums, and bone tissue with digital imaging, but we can zoom in on areas of concern and rotate images as needed to obtain the clearest view of the structures. It is important to us that you are fully engaged in the process of your dental care. Without an accurate depiction of your needs, there is no way for you to do this. While digital x-rays show us what is happening inside of teeth and beneath the gums, our intraoral camera will capture real-time color images of tooth surfaces. The intraoral camera is video imaging at its best, giving us the opportunity to show you specific areas of concern and discuss the way they may be treated. Historically, oral surgery procedures have involved cutting with a scalpel and, in many cases, stitches. Today, we harness the power of light in innovative laser instruments. Many of the procedures that would otherwise require incisions can now be performed more conservatively thanks to soft tissue lasers. We may use laser technology to treat periodontal disease or to comfortably and precisely remove decayed tooth material. While intense light makes accurate incisions, it simultaneously sterilizes tissues. Because bleeding is kept to a minimum, there is often little to no post-procedural swelling nor the need for sutures. 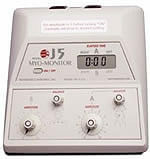 This therapeutic device has been used by chiropractors and physical therapists for many years. 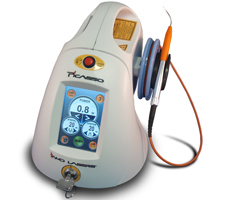 We are pleased to utilize TENS technology to treat the symptoms of TMJ Disorder. The purpose of a TENS unit is to send mild electrical impulses to targeted tissues. The ultimate reaction is that controlled stimulation will lead to relaxation of tightened muscles. TENS treatment for TMJ complements our mission to achieve optimal results through conservative methods. The K7 diagnostic device is vital to our standard of care. By utilizing electromyography (EMG) in conjunction with electrosonography (ESG), this computerized device provides us with the most accurate measurement of muscular activity in the jaw. 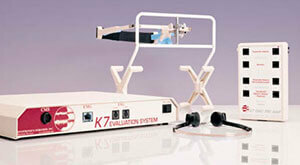 We use the K7 to ascertain the muscular activity of the jaw both at rest and during movement. The 3-dimensional images captured enable us to study the bite at-length. Electrosonography gives us another aspect to observe: the subtle sounds made when the jaw is in motion. By analyzing the information gathered, Dr. Davoud better understands your needs and, from there, can personalize your treatment plan. Our cone beam computed tomography (CBCT) machine is one of the newest additions to our extensive suite of technology, and it is also one of our favorites. This amazing device allows us to provide a better patient experience, more accurate diagnosis, and precision treatment planning. 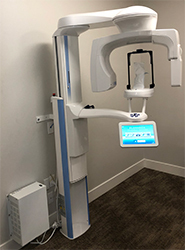 The imaging process is faster and more comfortable than that of traditional dental x-rays, and cone beam technology makes radiation much lower than most CT machines. Additionally, this device does not produce the familiar unclear, one-dimensional x-ray images. Instead, it renders high-quality, detailed, three-dimensional images. The CBCT scanner may be used in evaluating defects or decay of teeth and bone, planning the best location for implant placement, and much more. Most people dread the thought of going to the dentist for treatment and hearing that all-too-familiar drill sound. The feel of the drill or the thought of oral surgery can provoke anxiety in many patients and simply provide an unpleasant experience for others. 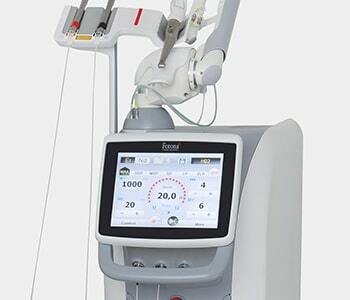 That’s why Dr. Ramsin Davoud in Turlock, CA has invested in cutting-edge technology, called the Fotona Lightwalker®, that provides a laser treatment solution for many of the tooth and gum treatments that have previously required the dental drill or scalpel. A Turlock Dentist winner of the 2015 Patients' Choice Awards.
" Dr. Davoud's attention to detail and holistic approach while working with my 3 year old was fantastic. He took his time and walked her through every step of the procedure. We had a wonderful experience. I highly recommend!!! " " Fantastic work fixing my broken tooth. It looks great and the Dr and staff did a terrific job! Thank you "
" Dr. Davoud is the best! He has completely broken through my fear and distrust of dentists. Davoud is honest and straight forward. He listens and considers your feedback. He also keeps up on the latest and most effective treatments. Best of all... He is a WIZARD when it comes to numbing techniques. This dental super hero makes sure that you don't feel the injections and then massages the anesthetic into your gums to achieve a complete numbing. Davoud has pulled 3 of my teeth and I never felt a thing "
" Dr. Davoud is the best dentist in town! He is very knowledgeable and has the latest technology. My family and I have been patients since 2003 and he gave me the smile I always wanted. The process was painless, and I now have the most beautiful smile thanks to this wonderful dentist. I highly recommend his office if you are looking for a quality and caring dentist. " " First time to this dentist, was very nervous about having a major dental care happen and without insurance. He was vary affordable and did the extraction with little pain without sedation which I was expecting or pills that would make me loopy. Also one of the only dentist to call me to see how I was doing after the procedure. Plan on coming back for other check ups. Highly recommended. " " Dr. Davoud is a great doctor. He gave me an excellent experience with an explanation about what was going on with me. He is very skilful, nice and funny doctor. Plus that he left his family to come and check on my tooth. The staff is so nice and have the patience of saints! " 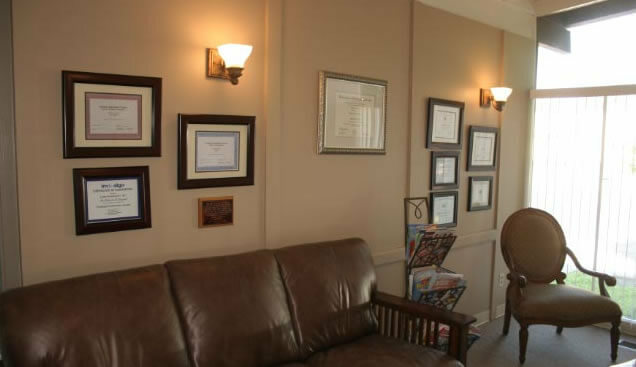 " If you're looking for a Dentist who doesn't just drill and fill, then you need to go to Dr. Davoud; His goal is not only to treat any dental related issues, but to do it in such way that will also improve your overall health! He's an exceptionally great Dentist!!" © Copyright 2019, Ramsin Davoud, All rights reserved. Stay in touch! Sign up for email newsletters, specials, and event information.